Pic 1 - The etoolbox error. In that thread, someone mentioned texlive-latex-extra package. 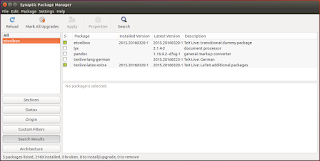 A search in Ubuntu Software turned-up no etoolbox (see Pic 2) nor texlive package (see Pic 3). Weird, because Ubuntu Software is where you go to to find and fulfill all your Ubuntu needs. And it's where i, previously (before 'the move'), find my LaTeX-related packages. 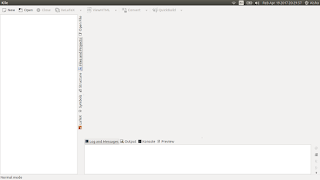 Pic 2 - Ubuntu Software. No etoolbox package. 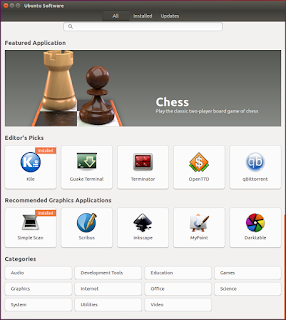 Pic 3 - Ubuntu Software. No texlive package. Ubuntunians find theirs in Ubuntu Software. 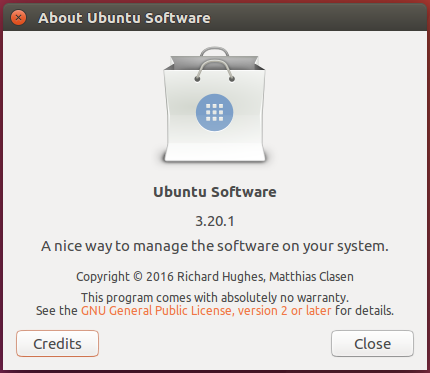 If the package is not in Ubuntu Software, then where is it? -- The second place to go to is Synaptic Package Manager. 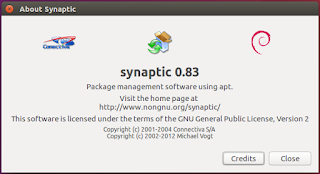 In previous versions of Ubuntu, Synaptic Package Manager came installed along with the Ubuntu system. But starting from whatnumber, Synaptic had to be installed on your own. 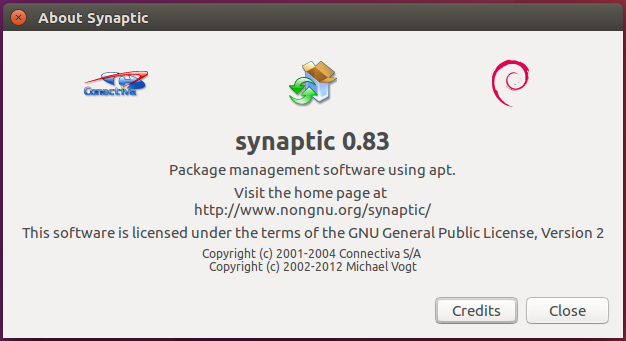 Synaptic is no longer installed by default in Ubuntu 11.10, however it is still useful in some situations. If you already have Synaptic Package Manager present in your system, skip this part and proceed to the next part. If you don't have Synaptic Package Manager present in your system, proceed with this part. 1. Click the Dash icon in the Launcher. 3. 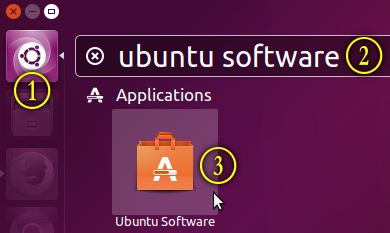 Click the Ubuntu Software icon. 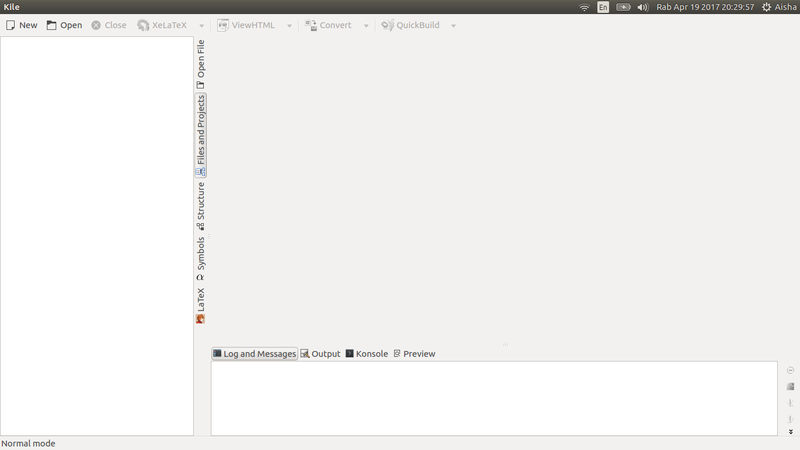 The loaded Ubuntu Software window looks something like Pic 5. Pic 4 - Launching Ubuntu Software. 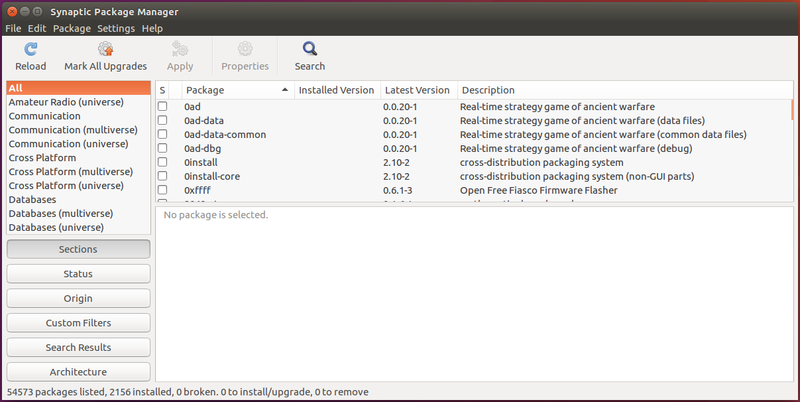 Pic 5 - Ubuntu Software, loaded. Pic 6 - The Ubuntu Software version. 2. Search for the Synaptic Package Manager package. Pic 7 - Ubuntu Software. Searching for the Synaptic Package Manager package. 3. Install the Synaptic Package Manager package. 1. To read the package description, simply click the package in the filtered list. See Pic 8. 2. To install the package, click the Install button. See Pic 7 and Pic 8. 3. The Authenticate dialog box will appear. Fill-in your password in the Password field, then click the Authenticate button. See Pic 9. Pic 8 - Ubuntu Software. More info about the Synaptic Package Manager package. Pic 9 - The Authenticate dialog box. Authenticate before installing the package. 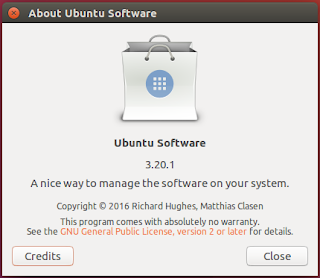 Once the installation is completed, you can close Ubuntu Software. 5. Load Synaptic Package Manager. 3. Click the Synaptic Package Manager icon. 4. The Authenticate dialog box will appear. Fill-in your password in the Password field, then click the Authenticate button. See Pic 11. The loaded Synaptic Package Manager window looks something like Pic 12. Pic 10 - Launching Synaptic Package Manager. Pic 11 - The Authenticate dialog box for Synaptic Package Manager. Pic 12 - Synaptic Package Manager, loaded. Pic 13 - The Synaptic Package Manager version. 6. Search for the etoolbox package. 1. In the Synaptic Package Manager window, click the Search button. The Find dialog box will appear. iii. Then click the Search button. The list will be updated with the search results. Pic 14 - Synaptic Package Manager. Searching for the etoolbox package. 7. Install the etoolbox package. 1. In the Synaptic Package Manager window, in the All section, click etoolbox. 2. 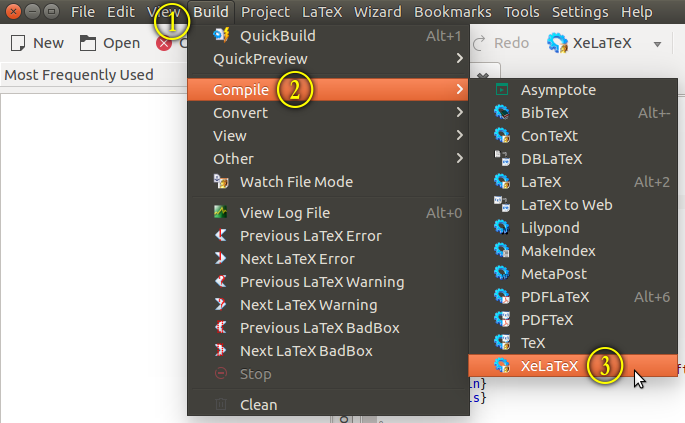 In the Package column, click the etoolbox package. The package description will be displayed in the right-bottommost section of the window. 3. In the S column, click the box for the etoolbox package. 4. 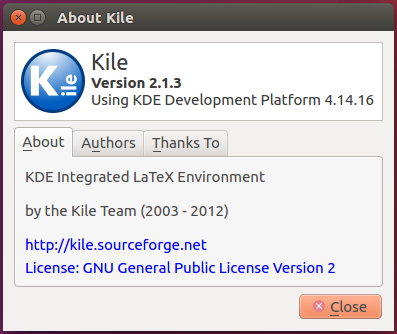 In the menu, click the Mark for Installation option. See Pic 15. The synaptic dialog box will appear. See Pic 16. Pic 15 - Synaptic Package Manager. Marking the etoolbox package for installation. 5. In the synaptic dialog box, click the Mark button. See Pic 16. The list of marked packages in the Synaptic Package Manager window will be updated. See Pic 17. Pic 16 - The synaptic dialog box. Marking additional packages. 6. In the Synaptic Package Manager window, click the Apply button. See Pic 17. The Summary dialog box will appear. See Pic 18. Pic 17 - Synaptic Package Manager. The updated list of marked packages for installation. 7. In the Summary dialog box, click the Apply button. See Pic 18. The Downloading Package Files dialog box will appear. See Pic 19. Allow some time for the package to be downloaded depending on your Internet speed, and installed. Installed packages have a green box in the S column. See Pic 20. Pic 18 - The Summary dialog box. Pic 19 - The Downloading Package Files dialog box. Pic 20 - Synaptic Package Manager. The marked packages are now installed. 8. Close Synaptic Package Manager. Once the installation is completed, you can close Synaptic Package Manager. 9. Load your LaTeX editor. 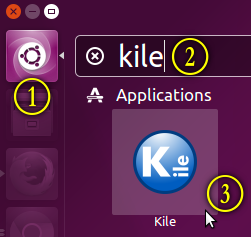 In case you want to use Kile but can't find it in your system, then you will need to install Kile first. 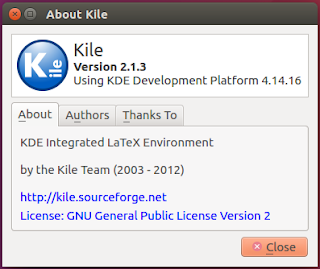 Kile doesn't come installed with Ubuntu. You will have to install it yourself. 3. Click the Kile icon. The loaded Kile window looks something like Pic 22. Pic 21 - Launching Kile. Pic 22 - Kile, loaded. Pic 23 - The Kile version. 2. Compile your document. See Pic 24. The etoolbox error should be gone and your document compiled successfully. See Pic 25. Pic 24 - Kile. Compiling the document. Pic 25 - The etoolbox error is gone. Notice the [XeLaTeX] failed to start 'error' in Pic 1 and Pic 25? This is a separate problem altogether. At this point of this post, while trying to document the problem (and at the same time troubleshoot it), i somehow stumbled upon the solution. Although the 'error' is solved and now gone, I'm not going to re-do the pictures, so i will leave things as it is.